Recently, we discussed several of the likely key elements in an upcoming Obamacare revision by Congress. 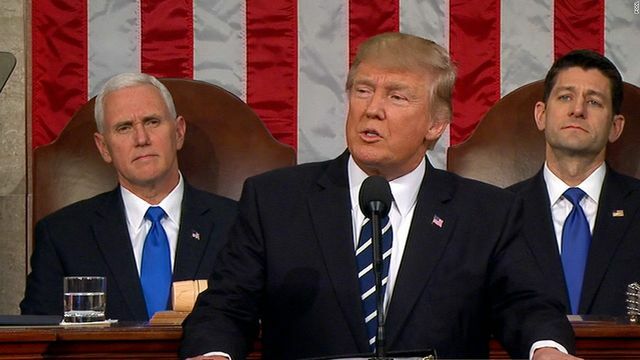 Last night, with a fresh tone, President Trump set out five key principles for the upcoming attempt to repeal and replace the Affordable Care Act. The President mentions "access to care" for those with pre-existing conditions. Whether this means insurers will be forced to cover those with existing conditions or whether this will change is unclear. First, we should ensure that Americans with pre-existing conditions have access to coverage, and...a stable transition for Americans currently enrolled in the healthcare exchanges. Secondly...help Americans purchase their own coverage, through the use of tax credits and expanded Health Savings Accounts...it must be the plan they want, not the plan forced on them by the Government. Thirdly, we should give...State Governors the resources and flexibility they need with Medicaid to make sure no one is left out. Fourthly...implement legal reforms that protect patients and doctors from unnecessary costs that drive up the price of insurance -- and work to bring down the....price of drugs and bring them down immediately. Finally...give Americans the freedom to purchase health insurance across State lines --- creating a truly competitive national marketplace that will bring cost way down and provide far better care.